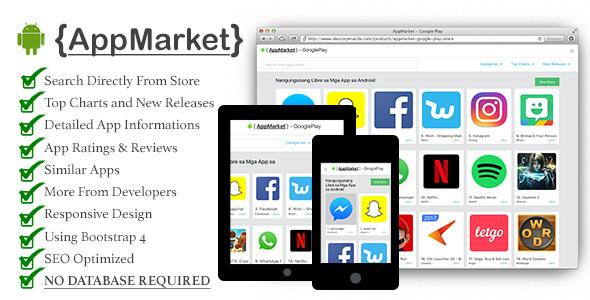 1 items tagged "Google Play"
AppMarket – Google Play Store is an Android Market site specifically for Google App Store. It pulls from the google play website automatically and display the top charts of the game and the new releases. It gets detailed informations and reviews of the applications with related apps.